what a hidden treasure Villa Azur you are, it was such a pleasure to have such a lovely dinner there. If you haven't heard of it or have had it on your list to go I suggest you go now. I was invited to come and experience this enchanting establishment and I was so delighted with the experience that I look forward to my return. It's tucked away at the end of 23rd street, if you weren't looking intently for it you would miss it but once you find it you wonder how did I not hear of it before, it is the perfect place to take a first date, for a celebratory dinner, a proposal or even a rehearsal dinner. You can say I have my recent engagement on my mind, well yes yes I do, whenever I find a place that has that magical touch I wonder what else can I come here for. Villa Azur would be perfect for a rehearsal dinner or even a very intimate wedding reception. We sat outside (which I highly recommend) and it was such a romantic and relaxing experience, my fiance enjoyed it as much as I did. 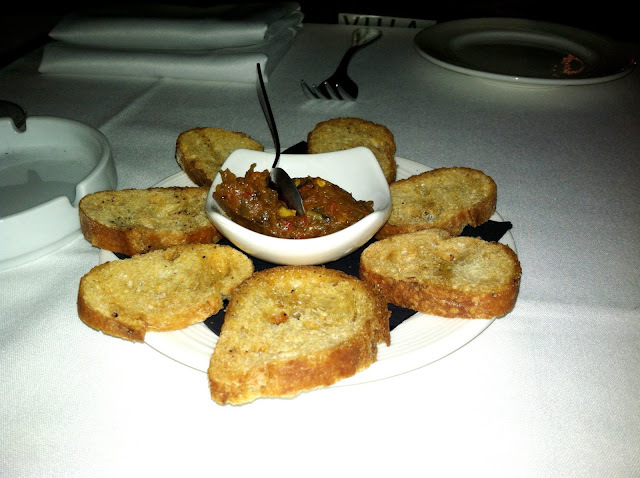 Starters: Tapenade and Beef Tartar. Drinks: two glasses of Malbec and one of Cabernet Sauvignon. Dinner plates: Cote de boeuf (in the to share or not to share menu). Sides: Potato Gratin Dauphinois and Sauteed Baby Spinach. 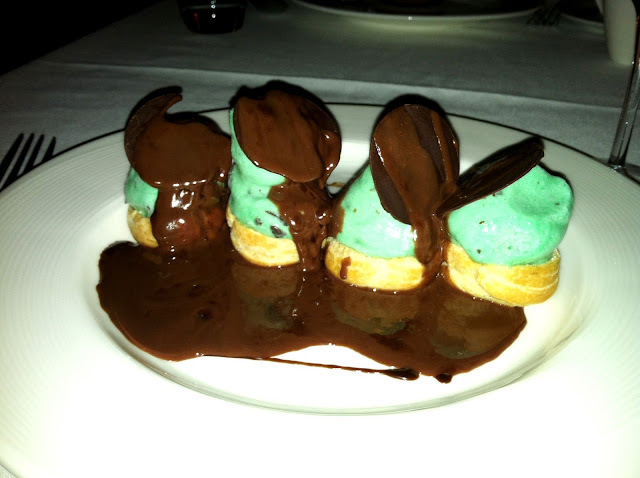 Desserts: Mint & Chocolate Profiteroles and Homemade Nutella Mousse. Cote de boeuf (which you can share with your date) and Homemade Nutella Mousse (it was divine). Sweet baby Jesus...those desserts look DEADLY. Yes they are! especially the Nutella mousse!! I haven't been there but these pictures definitely make a good reason to check it out!! Martha, you have to go! it's a very lovely place. I am sure you will enjoy it!